Right, I’m home, back at work and re-installed into my skate/work/sleep routine and Le Mans seems like an age ago. It’s really – UNFAIR!!! I feel like I planned, taught, coached, invited, softly motivated, suggested, bought, sold, serviced, budgeted, chatted, ate, slept and drank Le Mans from the beginning of April till now. Now, I’m suffering from a personal void in my life. What do I do with the time I have? I don’t need to write an email about trams or trains or hills or wheels… what do I do with myself?? oh.. I know: spend time with my lovely girl! (more about her input later). 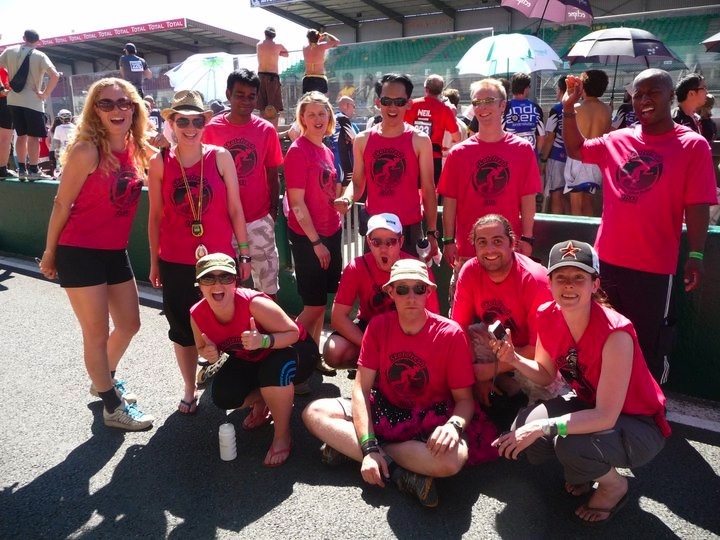 My idea for the Skatefresh Le Mans team came from a chat with a guy called Sparky on the Sunday night of Le Mans 2010. Having been invited myself, to the nutty French event that year and been blown away by the feeling surrounding it all, I wanted to offer that experience to others in a soft and friendly way. So I – then we (myself and Asha) put a plan together. The rest is, as you might say – history. I’ve only one or two things to add: the main one being – Never get caught on film in a pink tutu!!! 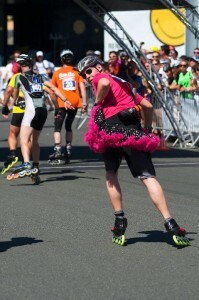 Having done Le Mans the year before on a “fun” (Panda) team I had ideas about Le Mans being an accessible inline skating event from the perspective of competitors only having to skate one lap at a time and being able to see progression in their ability throughout the race. This definitely held true. All the feedback I’ve had since has been positive and reflective of these ideas. Our team went home (for the most part) having a new understanding of their skating and their comfort with speed and fitness. Frankly from my side “perfect”. I suppose the question remains what will happen in June next year and whether I can be persuaded to be part of organising a pink team for Le Mans again?? I have a couple of people to thank for their assistance in putting this together with only 1 years experience of the event myself. Ed! Gwiazda – from LSST without his calm organisational advice from time to time I would have been a lot more lost in the mire during our preparations and for letting us simply follow him around after the race, making transfers from track to hotel smooth and stress free. David – from ClubBlueRoom his thoughts and assistance on equipment were totally invaluable for me personally and for a couple of members of the SF team. Pamela – Also from LSST for being so damned organised with the van and LSST arrangements, allowing the rest of us to sit on the Speed team’s coat-tails and drift along through the event and collect our bags very conveniently at the end. Lastly – the team. Guys, you rocked.. thank you.. So, if you fancy a go? Or maybe you have aspirations towards skating in a “speed team” either way let us know and we’ll sort you out with some tuition and hopefully provide you with a little direction for your enthusiasm. 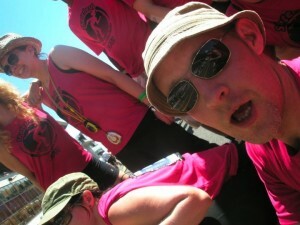 Maybe I’ll see you at the Goodwood roller marathon – or perhaps in Berlin or Cologne.